It’s officially autumn!!! Yay! This is my favorite time of the year for crafts! There are so many great opportunities! I already posted about Leaf Crafts, so today we’re going with a pumpkin theme! Let’s get to it! 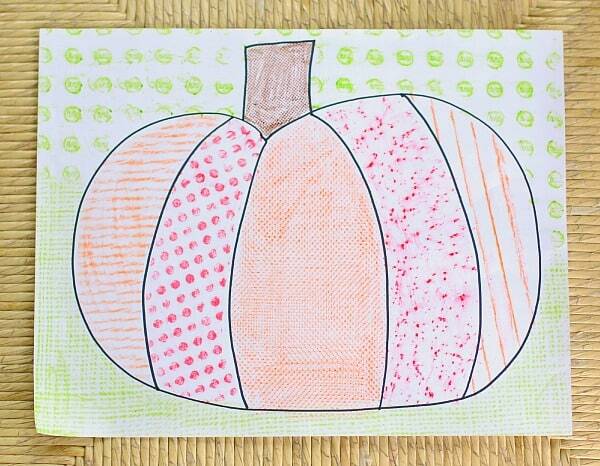 Textured Pumpkin– this is a fun way for kids to explore textures and do rubbings! This tutorial says to draw a pumpkin for them, but if you’re not confident with your drawing skills, or simply want a more polished look, it’s easy to find free pumpkin templates online. 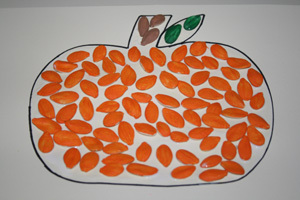 Pumpkin Seed Craft– If your kiddo is old enough, this can turn into a multi-step craft by letting him/her paint all the seeds one day, and then do the glueing the next! 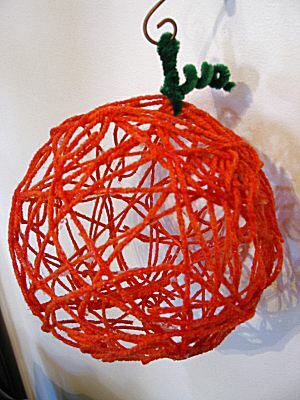 Yarn Pumpkin– If you don’t mind a little mess, this is a great dimensional craft! Paper Roll Pumpkins How fun are these? Give kids a template to glue to if you think they’ll have a hard time creating a shape. I’ll do another pumpkin post sometime in the near future for jack-o-lantern crafts. I already have a few in mind!